SPORAH TV: THIS TIME IT WAS SPORAH AND THE CEO MISS UGANDA AND HER QUEEN AFTER THE MISS WORLD 2011..! THIS TIME IT WAS SPORAH AND THE CEO MISS UGANDA AND HER QUEEN AFTER THE MISS WORLD 2011..! Brenda, please tell us briefly about Miss Uganda (Uganda). Is Miss Uganda 100% fair or there is other ways when it comes to find the Queen? Oh no way, Miss Uganda is 100% fair, for example Sylvia Namutebi was a contestant in last year’s (2010) pageant but she did not win, this year she went back and won Miss Uganda 2011-2012. 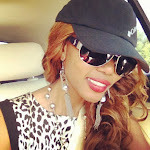 Let me hear from Sylvia her self, from your experience at Miss World 2011.! do you think there' is any favouritism in Uganda or at international pageants? I don't think so sporah, i believe the problem lies in the selection process at home. As the Organiser, what do you do to support the girls.? The important areas are fitness and ramp walk; motivation and self belief; language and communication skills; mentoring and moral courage. Also Talent, Motivation and self belief is one of the areas which is not seen in our third world countries, but this is an essential ingredient in winning Miss World. And what was the prize of miss Uganda? Here she is: Sylvia Namutebi emerged the winner beating 18 other girls to be crowned the Miss Uganda 2011-2012. She won herself a red Toyota Spacio. Primativa Aliguma was the first runner up winning herself a land title from JOMAYI for a piece of land located in Wakiso District. Wow..! Thank you guys for your tim, I had such a wounderful time. The CEO of Miss Uganda Uganda Brenda Nanyonjo with her Queen (2011) Slyvia Namutebi. 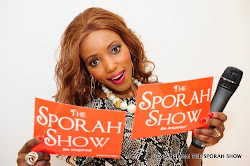 I had such a wounderful time, I loved being on The Sporah Show. I personally think these events are wrong. tho I think these competition it's demeaning and old-fashioned. It gives the wrong impression to young women of what true beauty is. Plus, the women in the pageants look fake and creepy to me. hey sporah most of them nowadays are plastic therefore fake. I'm not interested in them. you people, writer about your﻿ self first, stop hating. Goooooooo UGANDA!!!!! your doing fantastic job sporah, you are doing Africans proud. 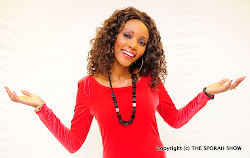 Show yako nzuri sana sporah, nimeiona leo star tv kwa mara ya kwanza, woow.! ni ngumu kuamini kama mtanzania wa ughaibuni anaweza kufanya mambo makubwa hivi. I know Silyvia, she is not just beautiful but VERY VERY INTELLIGENT. I'm not a big fan of this girl but gotta admit she's truly beautiful and she did well on Miss World. Na miss tanzania wetu hukumpata dada sporah?